Marvel's Avengers Infinity War Fan Event In Singapore! DJ SODA's tour of Singapore! !T GIRLS Interview | E! News Asia | E! If you appreciate the art of a beautifully crafted cocktail, then SGCF cannot be news to you. Singapore’s premier cocktail festival kicked off at Empress Lawn, and was on for 10 days, until 13 May. Here were 5 highlights during this festive event. The festival village, held at Empress Lawn saw the return of the Artisanal Spirits Tasting Room, which was a hit at past events. It featured handcrafted small-batch spirits for sampling and will also present festival goers with an opportunity to speak with the makers. We recommended sticking around to chat with these geniuses while you sip on your drink. Most of them are very passionate about their craft and have invaluable insight. 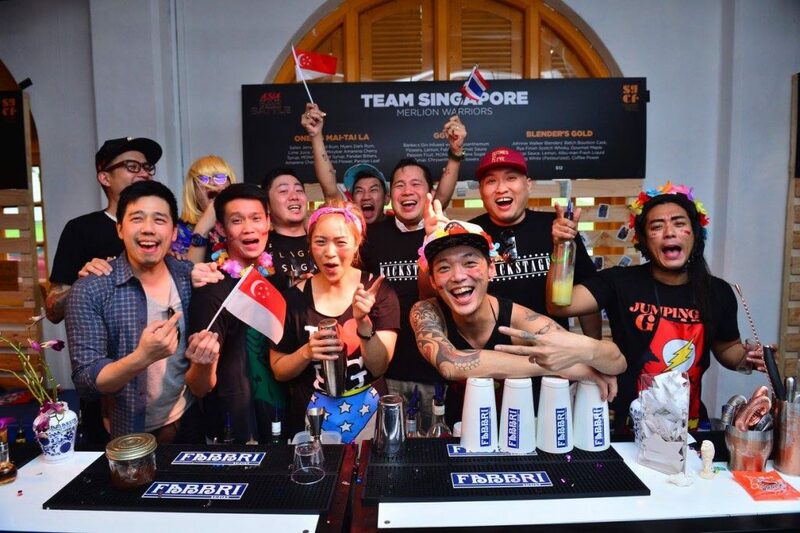 Just as the name implies, this competition will see bartending teams from Singapore, Vietnam, Malaysia, and many other countries go head-to-head in a bid to create the best cocktail possible. If you’re a fan of reality TV shows, here’s a chance to catch a non-scripted version. So you’ve always wanted to be a mixologist? SGCF brings you the unique opportunity to rub elbows and learn from some of the best in the business. Be sure to check out Kyrö Distillery Company’s Gin Blending Workshop to gain some insight on the intricacies of gin-making and even take home your own creation. Another one we suggest checking out is TGIF (Thank God It’s Fermented) led by guest bartender Sasha Wijidessa of Operation Dagger. As the more perceptive of you would’ve guessed, it takes a look into the history of fermentation and techniques that have made its way into cocktail-making. Considering you’ll be subjecting your body to a “healthy” amount of booze, you’ll want to make sure your belly is lined well. For this, we recommend hitting the food street, where you’ll find eats by a wide range of restaurants. Some of the names you might recognise include Ninja Bowl and Ninja Cut, The Astronauts Group, Sinfonia Ristorante and Zui Hong Lou. Marvel’s Avengers Infinity War Fan Event In Singapore! “The Paneva” digital magazine encompasses the perspectives and lives of people with influence. Our online publication provides a one-stop curated content platform for influencers to share their thoughts, moments and memories with everyone. Copyrighted © 2017 The Paneva. Owned And Managed By Paneva Group Pte Ltd. All Rights Reserved.